I have some pretty BIG news to share. News that's been brewing behind the scenes. I haven't said anything yet because we weren't even sure how it would all come together. And yet, as the pieces fell neatly into place, we realized this was less of a pipe dream and more of possible reality. We're selling our house and going to be living in an RV year-round! Joseph says it will be a one-year trip, but I'm working on coaxing him into thinking of it as “at least” one year—maybe longer if we fall in love with the living-in-an-RV-year-round lifestyle. 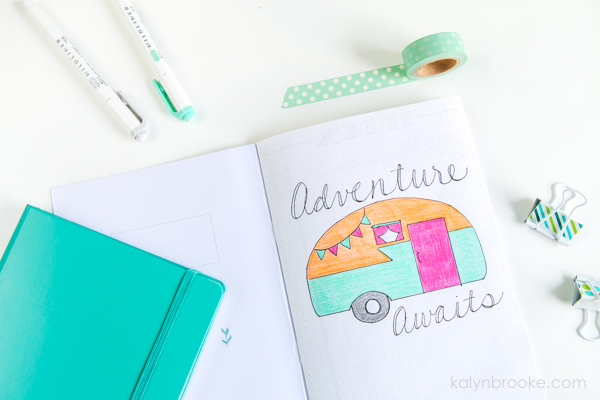 We've always wanted to travel, and I personally have wanted for years to try living in an RV year-round! After all, we figure we could see all the places we've been dreaming of across the continental U.S in a piecemeal fashion over weekends, holidays, and vacations while staying in AirBnB's … OR we can take our home (and bunnies!) on the open road. Reason #1. We both work from home. Since we only need an internet connection to make the magic happen, we can work from anywhere. In fact, I first dreamed of becoming an entrepreneur in high school when I realized the freedom working from home brings. That's right, open-roading has been a dream of mine since high school! Reason #2. The perfect RV popped up! We had been to multiple RV trade shows and walked inside over fifty RV's. When we both saw this one while visiting my parents in Upstate NY this past May, we knew our timeline had to be moved up so we could buy it! It had everything we wanted (even a fireplace!) and the price was perfect for our budget. Reasons #3. We are never guaranteed tomorrow. When a highly respected man in our church was diagnosed with Stage 4 cancer, his plans to take his wife and the RV they had just bought on a cross-country trip were traded in for endless doctors appointments and chemo treatments. He never got to fulfill his dream. We can never be sure what's down the road for any of us, which is why we don't want to wait. 1. What will you do about Health Insurance? We'll actually keep the same insurance as we do now. Two years ago, we enrolled in a program called Christian Healthcare Ministries. It's kind of like insurance, kind of not, but at $30o a month for the two of us, it's much cheaper than traditional health insurance—especially since we are self-employed and don't get to enroll under a company policy. 2. How will you get your mail? This is something I had always wondered about those living in an RV year-round! We'll have a forwarding Florida-based address (we don't have income tax so we'd like to keep our residency here) that will have all our mail go to my mom's house in Upstate NY. We joke that she's everyone's mail processing center. My sister still gets mail there, my sister's friends get mail there, and she sorts mail for two missionaries we've adopted as family while they're serving in Africa. The postal delivery guy must be so confused! My mom will go through our mail and scan/email to us any paperwork that we need. We're trying to make everything paperless right now so it's easier, but she'll save the mail we do need until we get to a place where she can send them to our location. We're also using Traveling Mailbox as a versatile online postal mailbox! 3. 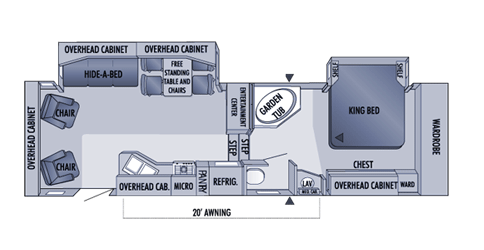 What type of RV are you getting? We really vacillated on whether or not to buy a typical motorhome because it seemed easier for long travel days (gotta go to the bathroom? Just walk a few steps and you're there!). But every fifth wheel we saw was so much roomier inside and felt more like a home than anything else. And when you're living in an RV year-round, you want it to feel like home! 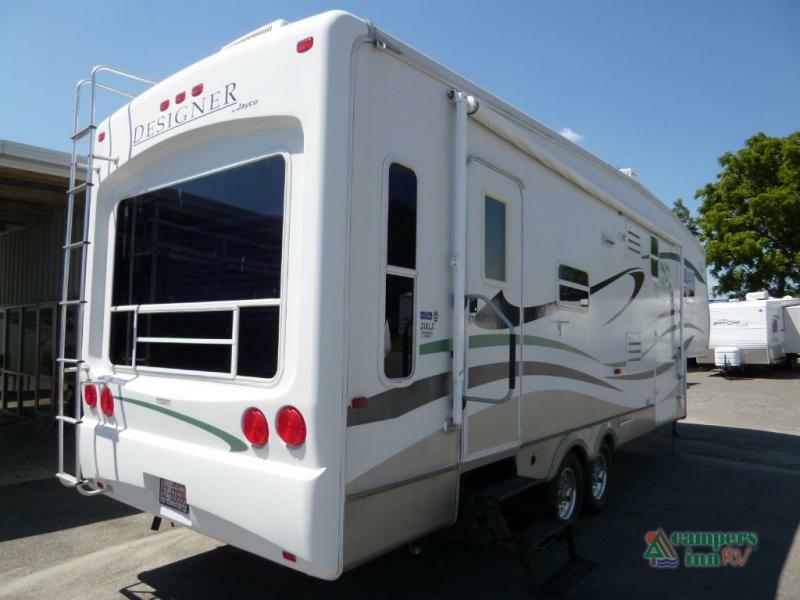 Plus, we'll be towing it with a truck, which means we can always park and stay in our fifth wheel if/when the truck is getting serviced. As opposed to with a motorhome, when the vehicle needs maintenance, you're evicted until further notice. 4. Where will you travel first? I have no idea! 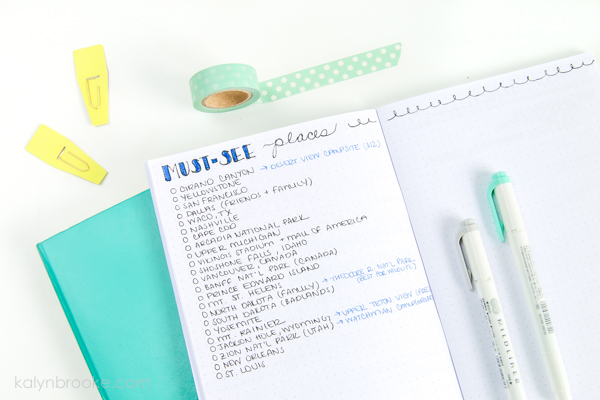 For a Type-A planner, not having a firm itinerary yet crushes my soul. But I just try to focus on how I am VERY excited to wake up to some of the gorgeous views we've seen in National Geographic. We can't really have a firm travel plan in place until we know exactly when we'll be taking off. We still have to sell our house first (we hope to have done this by September), then we'll pick up our RV in NY and live with my parents while we renovate it for the next few weeks. When we're ready to hit the road, we'll most likely head down south once again to start off our adventure of living in an RV year-round with some fun in the sun! If you have any other questions, ask away in the comments! While this grand adventure will shake up our lives in a good way, I'd be lying if I said I'm not scared out of my mind. At various times throughout this process (especially when we decided we were actually doing this and then when we listed the house), I've freaked out. Joseph has kindly held my hand, talking me through more slow, deep breaths than I can count. But I'm a homebody with a terrible case of wanderlust. While risk is not a part of my nature, staying stagnant isn't either. After all, the best things in life often come with a little (or a lot!) of risk. Sometimes, instead of taking that first step forward into risky territory, we dig in our heels for the sake of the familiar. It's easier to explore our wishes and dreams within the confines of our imagination, rather than take action in real life, isn't it? It often comes down to what you want more: The familiarity of your comfort zone or to live a life without regrets. This isn't a case against contentment—I strongly believe you can be content right where you are, but if you really want to change something and fear is the only thing holding you back…why wait? Why not try it and see what happens? The worst thing you can do is not try at all. Our leap into the unknown might not turn out exactly the way we pictured it. Maybe we'll hate living in an RV year-round. If that's the case, then at the end of a year, we'll settle down again. But we're giving it a shot first. That's what I want for you too. To give that one thing you've been mulling around in the back of your mind—the idea that's planted there out of fear—a chance to bloom. It might just be the best thing you've ever done. If you lived a life without limits, what crazy thing would you love to do? P.S. Even with this life change, the content on KalynBrooke.com will stay pretty much the same. 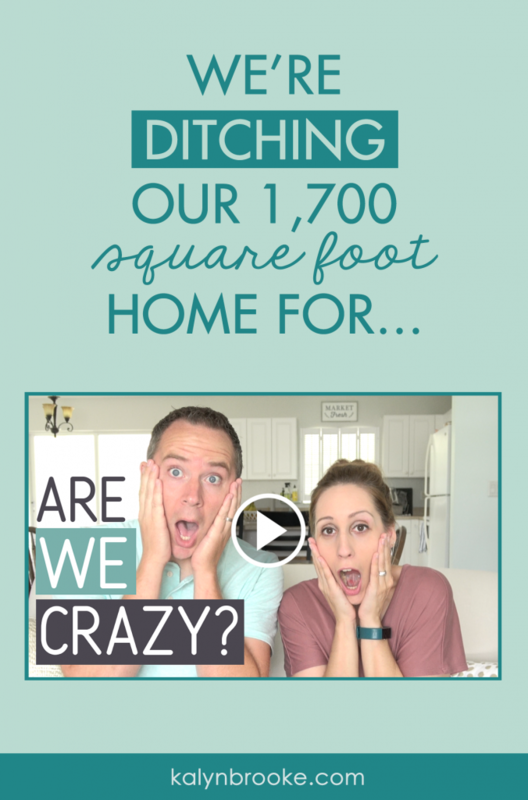 So if you want future updates on our journey to living in an RV year-round, I'd love you have you subscribe to our new YouTube channel. I hope you'll join this new adventure with me…and Joseph! Kalyn! I’m so happy for you guys! How exciting!! Hopefully we will see you in September!!! I committed on the post. I can’t wait to follow you. We are doing the same thing with 1 bunny. We are leaving the 3rd week of August. Yes it’s very scary and so exciting. Good luck and safe travels. At your age, with the ability to work from anywhere, no children, healthy, I completely agree with your decision. Not that you need my approval. A tiny piece of advice having lived in a 5 th wheel, as much as possible avoid the heavy rain. Perhaps plan your travels with this in mind. 5th wheels are notorious for leaking roofs, mine included. Also even though your tires may look new, RV tires can go on you. A new set of tires could save heartache in the road. Wishing you a safe and wonderful adventure. Thanks so much for the advice! They just recently replaced the tires, but we’ll be sure to keep an eye on them. I think it’s a great idea! I know you both will have so much info coming from all directions from so many people, but if you haven’t as of yet get on some FB groups for RV/TT so you can find out the skinny on so many things you never thought you would need to know. Some campgrounds/resort campgrounds don’t allow RV’s or Travel Trailers under 10 years old or the length may be too long. Make sure you call ahead to find out. Some are okay as long as you send a picture with info. You may never run into this problem but it is good to know before driving a long distance. There is so much to know. Can’t wait to follow you on the journey. Ooooo! That’s really interesting. 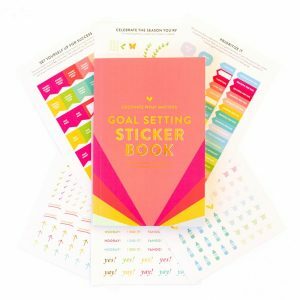 I know there are a ton of Facebook groups out there, do you have any specific ones that you recommend? KUDOS! I think you are doing a wonderful thing… You enjoy the freedom of the nomads with the comforts and goodies of a home that travels with you. You can stay in any one place for a day, or a week, or a month. Whatever! Just enjoy. This is brilliant! I’m so pleased for you, It will be awesome, and you will have the rest of your lives to look back on this wonderful adventure. I’m so excited for you! Oh wow! I am so excited for you both! It will be such a wonderful adventure! And if it isn’t what you think or end up loving, then you can always go and find another house to settle down in. But at least you tried it! And like you said, no one is guaranteed tomorrow. Plus think of all the memories you’ll make! What a fantastic thing to do. I read something the other day which seems quite apt here…..
Life is too short to wake up with regrets, so LOVE the people who treat you right, forget about those who don’t. Thanks so much for sharing. Life is full of choices and “what-ifs” no matter which choice we make. But I’m trying to make my what-ifs have less regret and my life to have more adventure.